Tumbling more than seventy feet into a deep pool below, Crabtree Creek falls over a towering, sheer cliff, forming one of Western North Carolina’s most beautiful waterfalls. It’s a favorite hiking area directly off the Blue Ridge Parkway north of Asheville, nestled in a rolling terrain filled with wildflowers, clear-flowing creeks, and scenic hardwood forests. 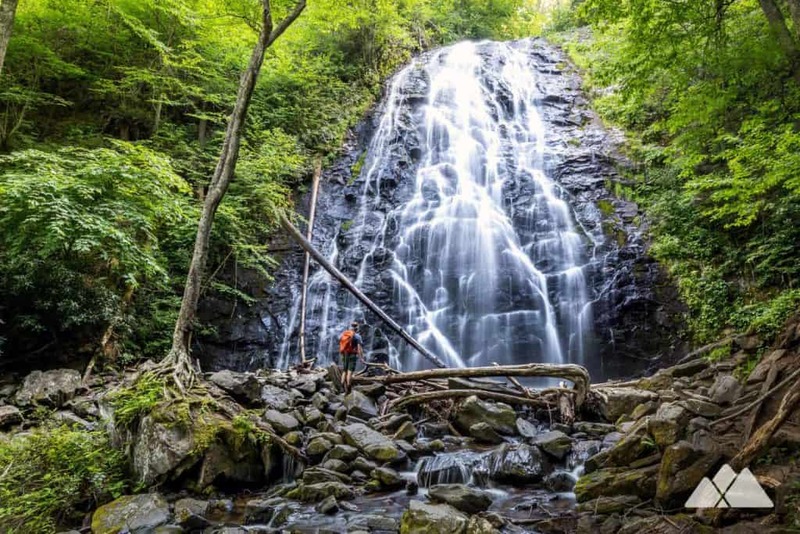 This hike dives through a beautiful forest to reach the trail’s main attraction, Crabtree Falls, at just over a mile. The hike climbs from the falls through a forest filled with mountain laurel, visiting the cascades of another small waterfall and trailing through a valley filled with rhododendron, wildflowers and grassy creek banks. The hike scores a whole lot of scenic beauty in a relatively short three miles – and the view from the base of this enormous waterfall is just stunning. The trail drops elevation steadily, descending through a dense forest canopy of hardwoods, mountain laurel, and rhododendron. The hike reaches a fork at .45 mile, veering to the right and continuing the descent. The trail meanders through the forest, carving through switchbacks and crossing several sets of rustic stone stairs. The sound of tumbling water echoes through the forest as the trail arcs to the southwest, making a final drop to the base of the enormous waterfall. A wooden bridge spans the base of the falls, offering a perfect place to snap a few photos and take in the waterfall’s beauty. For many hikers, the waterfall’s base marks the end of the trail, and they turn to make the arduous, steady climb back to the trailhead, doubling back on their outbound route. 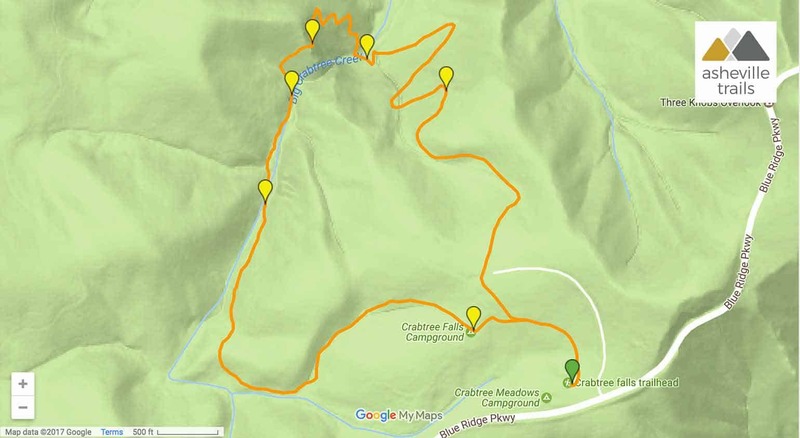 That’s an option, for sure – but this route offers a much more scenic return to the trailhead – and there’s a second (though smaller) waterfall upstream, too. After crossing the bridge at the base of the falls, the hike ascends sharply, carving through sharp switchbacks, climbing stone stairs and passing several old-growth, broad-trunked hardwoods. The trail passes a shallow cave at 1.35 miles, and the sound of the waterfall echoes across the large rock expanse. 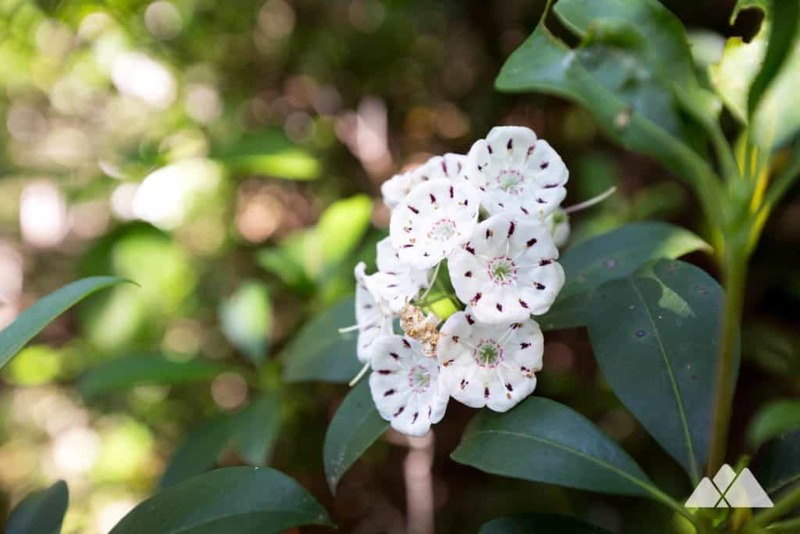 The trail reaches the top of a small knob and briefly levels in a rocky grove of gnarly-branched mountain laurel. 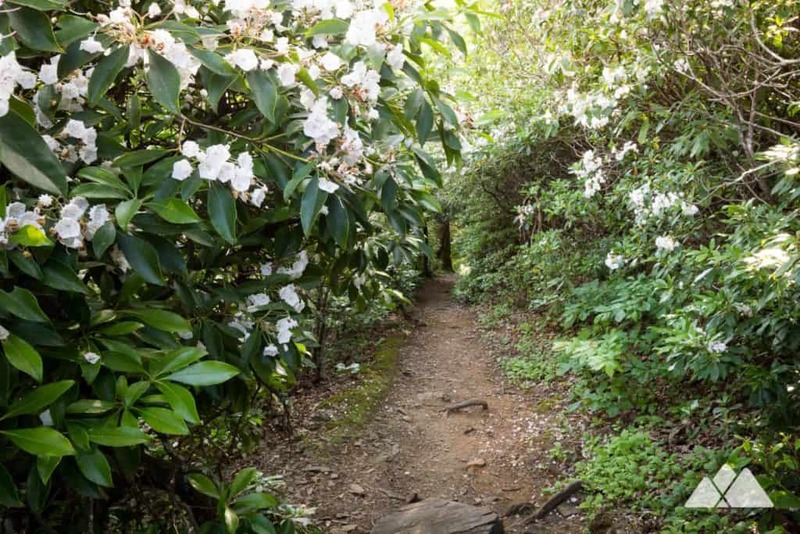 The trail descends, tunneling through dense mountain laurel (a gorgeous sight when they’re in bloom in late spring). 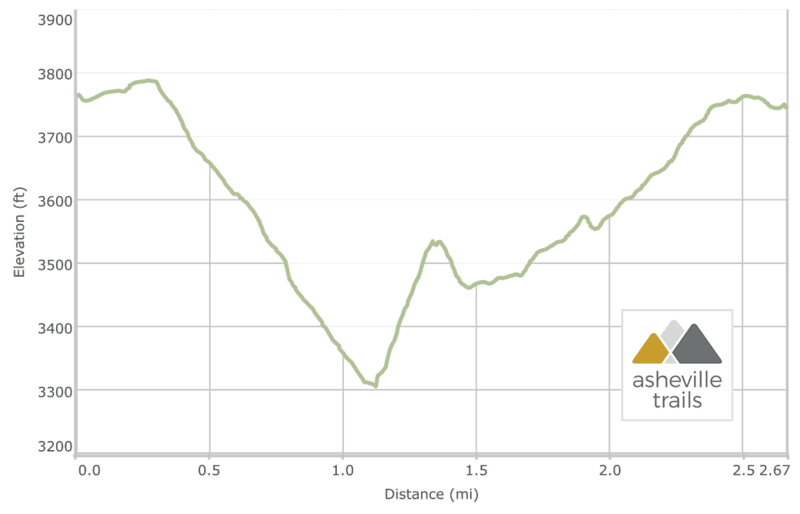 The trail arcs to the southwest and then due south, reaching the upper falls at 1.5 miles. Though considerably smaller than the downstream giant, the upper waterfall is beautiful, tumbling over a craggy, moss-covered rock outcrop beneath a twisted canopy of leathery-leafed rhododendron. From the upper waterfall, the trail continues its southerly journey, resuming a steady climb. The trail crosses a wood bridge spanning a creek at 1.65 miles, catching upstream views of the tumbling creek, its grassy shores, and the pebble-lined creek bed. The scene is tranquil, and the stream’s flow is gentle. It’s amazing to think that this same creek creates such an enormous, thundering beauty downstream. The trail loops eastbound, crossing a small wooden bridge and passing a towering old-growth oak. The hike passes through the campground and follows signs to the amphitheater. After crossing the paved campground loop road twice, the trail passes the amphitheater and reaches the trailhead at just under 2.7 miles, completing the adventure. This trail is maintained thanks to the hard work of countless volunteers and donations from supporters of the Friends of the Blue Ridge Parkway. Please support them by making a donation or joining a volunteer day. Let's work together to keep these fantastic trails maintained and open for use!